An easy alternative to extensions or perming, the YUMI Keratin lash lift keeps natural lashes curled 24/7 for 10-12 weeks and creates the illusion of longer, fuller lashes! Perfect for straight lashes that won’t hold a curl using a lash curler, hooded or mature eyelids, or clients who just want a break from daily curling. 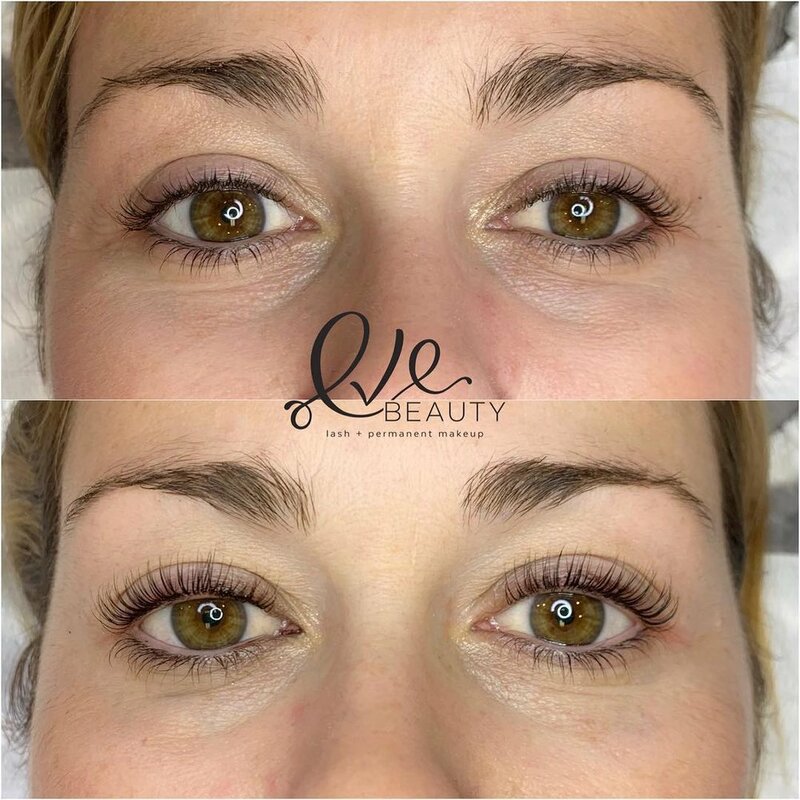 Compared to lash extensions, this procedure can be more cost effective and lower maintenance, all the meanwhile showing the same immediate visible results as extensions. As a result, your lashes will increase in volume and become thicker, curlier, and healthier -- all without the use of harsh chemicals, parabens, and formaldehyde. Your eyes and your lashes are such large focal points to your face and this treatment is one of the easiest and fastest ways to brighten, lift, and enhance them! We are the first and only lash studio to provide the YUMI lash service in the North Shore & a pioneer in YUMI lash certification in the Boston area. Elleebana Lash Lifting uses silicone rolls or pads instead of traditional rollers to give more of a lifting effect from the base of the eyelash. Superior formulation with conditioning and nourishing along with fast processing formulation and formaldehyde-free. Great for those with lighter color lashes (especially blondes!) - or anyone looking for a thicker "mascara" look (without having to wear mascara). A lash tint will make your lashes appear darker, thicker, and longer - and last for weeks. Using henna, the eyebrow hair and the skin underneath is tinted to provide a long-lasting effect that last up two weeks depending on the skin type. Our professional brow stylist will choose the color and shape for your eyebrows that suits your face and style.